Obama is meeting with a number of African leaders this week. But rather than a sign of strength, it’s a sign of weakness. Barack Obama is convening the largest ever gathering of African leaders in Washington on Monday – 50 have been invited – for a summit billed by the White House as “elevating our engagement” with a continent increasingly under China’s influence. Ben Rhodes, a US deputy national security adviser, denied it was an attempt to play catch-up with China – which has vigorously pursued political and economic ties with the continent. Melvin Foote, founder of the Constituency for Africa, a group promoting African interests in Washington, said it was disingenuous for the White House to claim the summit was not in large part a response to China. The US has good reason to be concerned. China’s trade with Africa rose to $200bn (£119bn) last year – largely made up of Beijing’s imports of oil and minerals, and export of electronics and textiles – more than double the US and far ahead of the EU. Twenty years ago trade between China and Africa was just $6bn. Why has the U.S. refused to build infrastructure in Africa? But Beijing’s influence has been greatly enhanced by the large numbers of Chinese now living and working in Africa, from factory managers to traders, and by big construction projects that have rapidly transformed parts of the continent when decades of western aid was often directed to propping up authoritarian cold war allies, not development. But the US remains dominant in security issues, which will be a strong undercurrent at the summit. 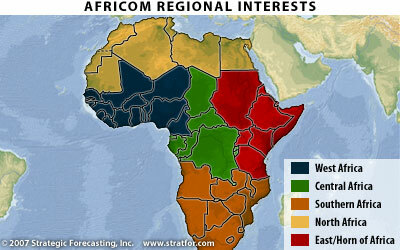 “We are very focused on the threat of terrorism in Africa,” said Rhodes. “We see it as particularly acute in … North Africa, Somalia with al-Shabaab, and of course Boko Haram in Nigeria,” he said. Indeed – as of last year – the Obama administration was sending troops to 35 African countries under the guise of fighting Al Qaeda and related terrorists. And the U.S. has planned regime change in Northern African countries for 20 years. The U.S. will always have to contend with the fact that China is not limited in its economic partnerships by commitments to propping up democracy and freedom, since the cornerstone of Chinese foreign policy is to take a non-interventionist approach with its trading partners, says Tieku. African leaders were more cautious in their assessment of the summit and the difference that foreign businesses can make. None [of the African leaders] were talking about the meeting as groundbreaking. While the U.S. has launched wars all over the world to seize control of resources, China has quietly been trading for its needs, or mining or building resources itself for subsequent export. See this, this and this. No wonder China is surpassing the U.S. as the world’s trading giant. Sadly, the U.S. is currently doing a worse job than China in following George Washington’s advice to (1) avoid foreign military entanglements and (2) engage in free trade with all nations.